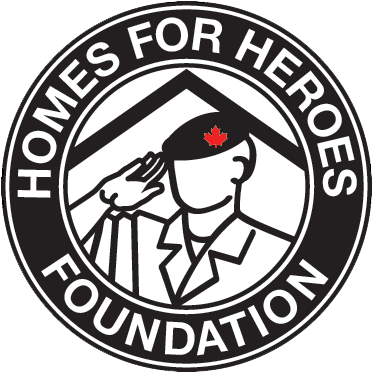 The Homes For Heroes Foundation is the vision of Murray McCann, a philanthropist dedicated to supporting our Canadian veterans, and David Howard of the Canadian Legacy Project, a charity supporting our Canadian veterans in need. An initial endowment has been made by the McCann Family Foundation and the Canadian Legacy Project to initiate the Homes For Heroes project. Moving forward, the goal is to secure lands from local municipalities, provincial and federal governments, land developers, and individual land owners across Canada. The lands would be donated for a minimum of ten years and the taxes and maintenance of these lands and the structures on the land would be the responsibility of Homes For Heroes Foundation. It is estimated that each 20 home village will cost approximately $2.5 million which will include a sizeable reserve for ongoing maintenance, and monthly expenses will be covered by the minimal rent charged to the residents of the villages. The overall development cost per village is substantially lower than any other Canadian subsidized housing program and in addition, the villages will offer a range of social service to help our veterans transition and heal. We are working with all levels of government for support and are looking to all Canadians to sponsor homes and other components within the development for each community.